If you don't follow my blog on the regular, then you might not know that I had a baby girl in December 2012. I'm still working on getting my pre-prego body back, and these new Soffe shorts and Nike Free's definitely have gotten me in the mood to work out. I've never been one to really enjoy working out. 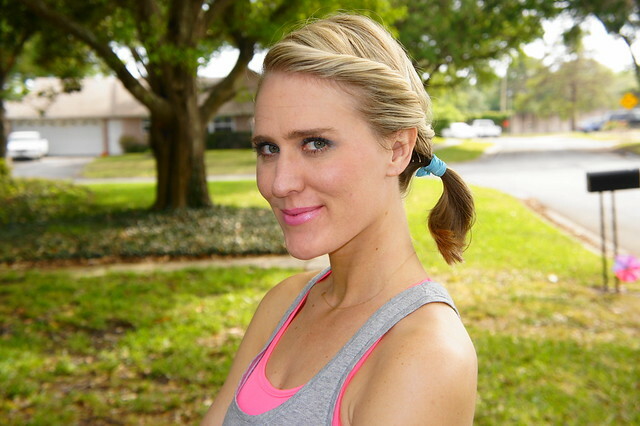 I was a competitive swimmer for 7 years and I also ran track, but working out on my own outside of that was always challenging. I always loved working out with a friend or two! Just makes it more fun! I have to admit that since I had my baby my main priority was eating healthy and less about cardio. 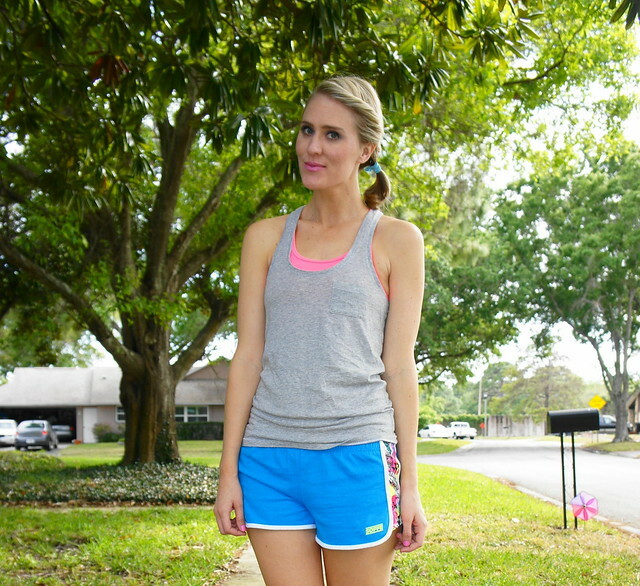 I never thought that fun workout gear would make me want to work out, but they really do help. My bright attire definitely lifts my spirits. P.S. 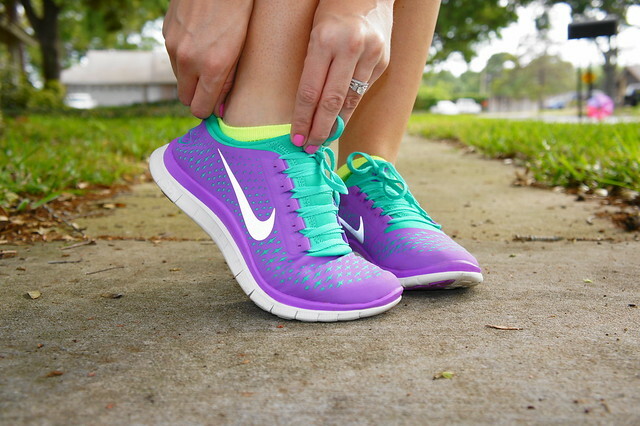 These Nike Free sneaks are seriously amaze. Now I know why everyone has been raving about them so much!! 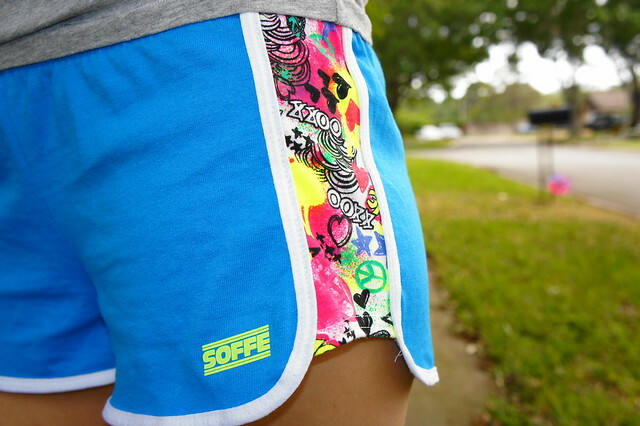 So light and comfy, AND the colors are so fun! 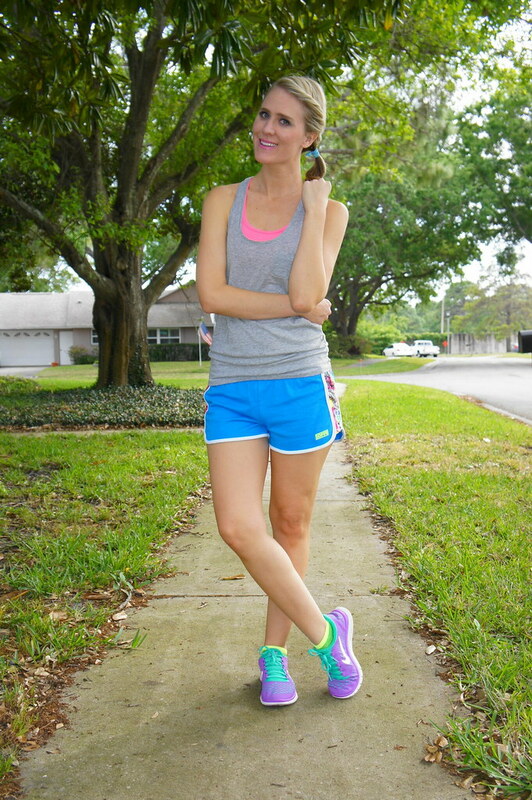 What's your go-to work-out staples? o my gosh, i wish i looked like this... even though i never had a baby! you look fantastic! 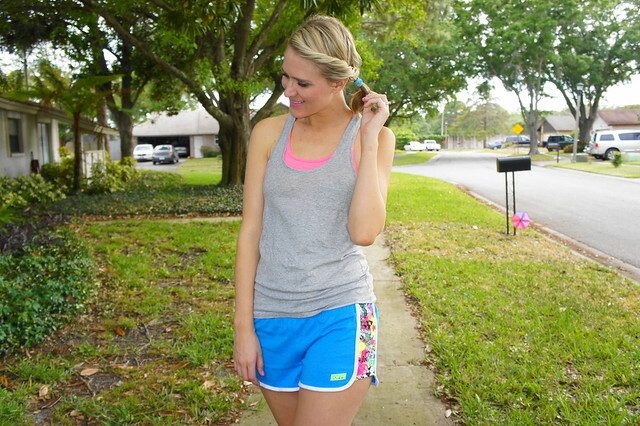 i really hate exercising, but i think getting some cute work out outfits motivates me a little. I really like the color of the shoes, so cute. You're adorable...period! Love those kicks! You look amazing even in work out gear!! 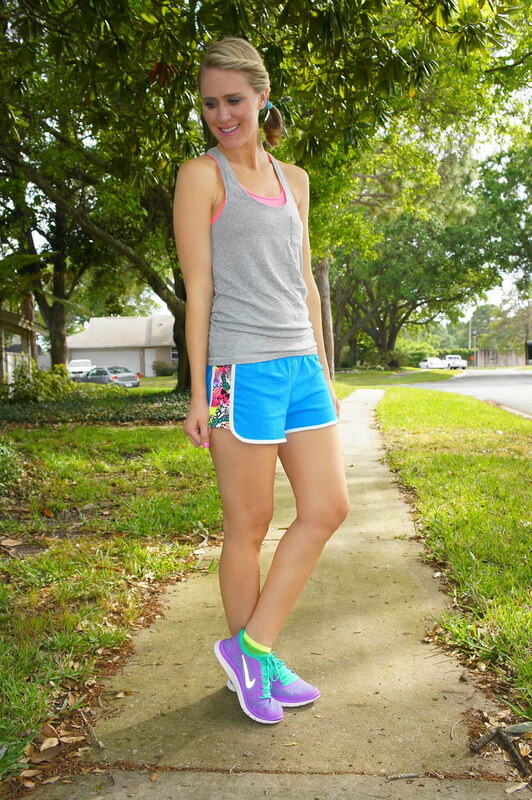 Loving the colours of those sneakers, I have a pair in black and purple, aren't they just the best to run in! ?